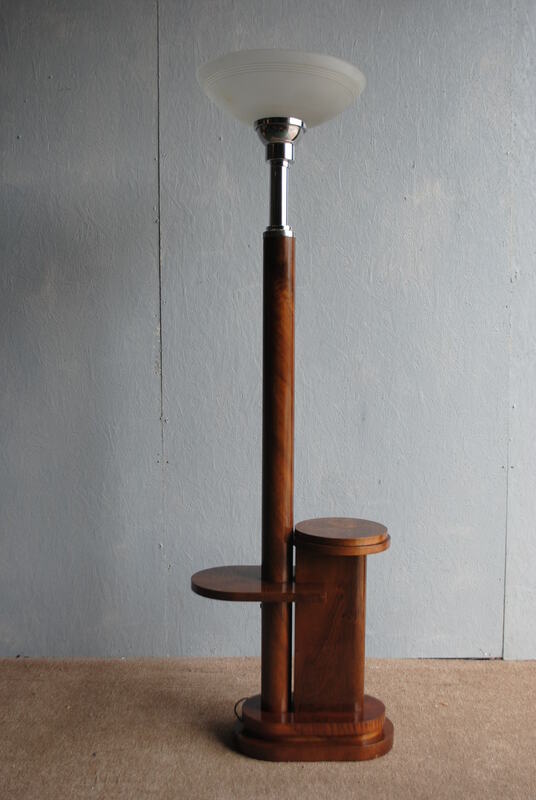 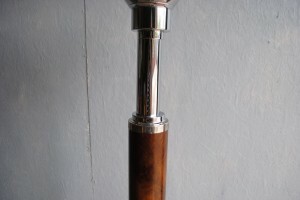 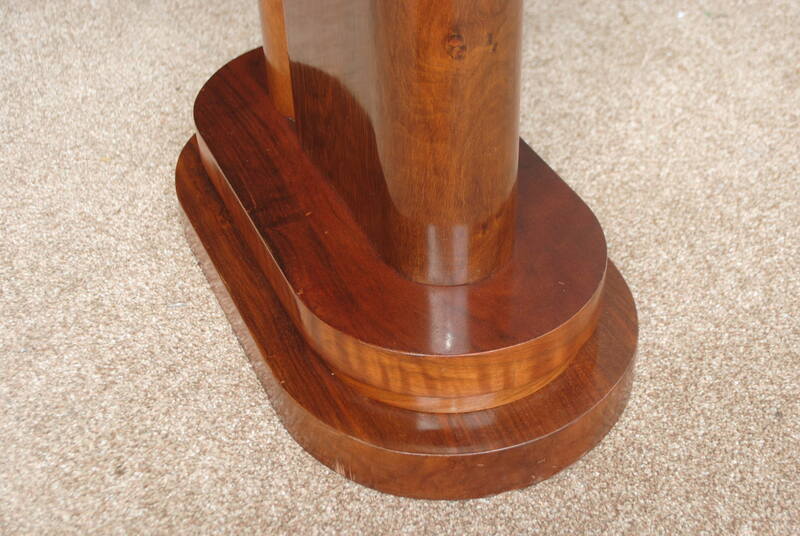 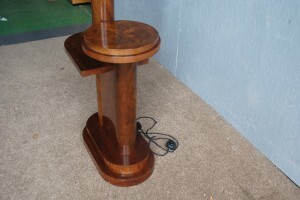 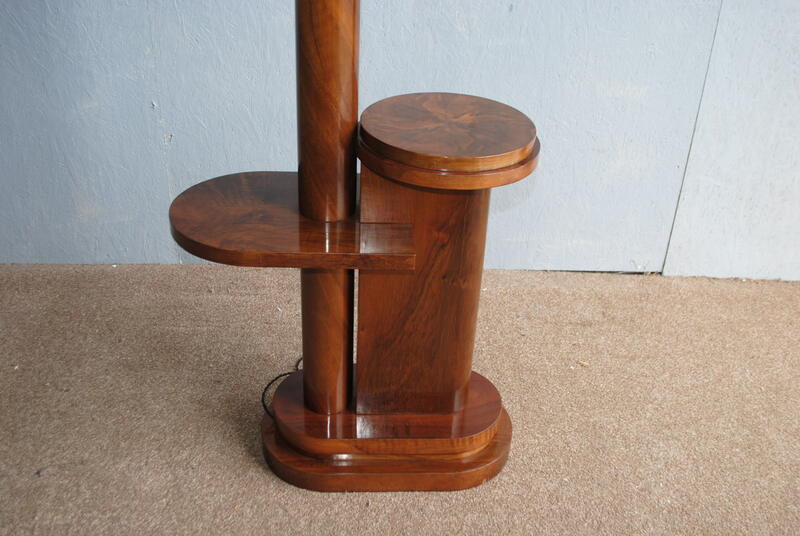 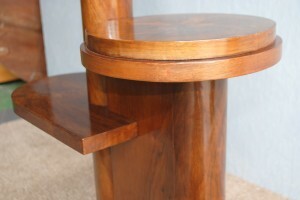 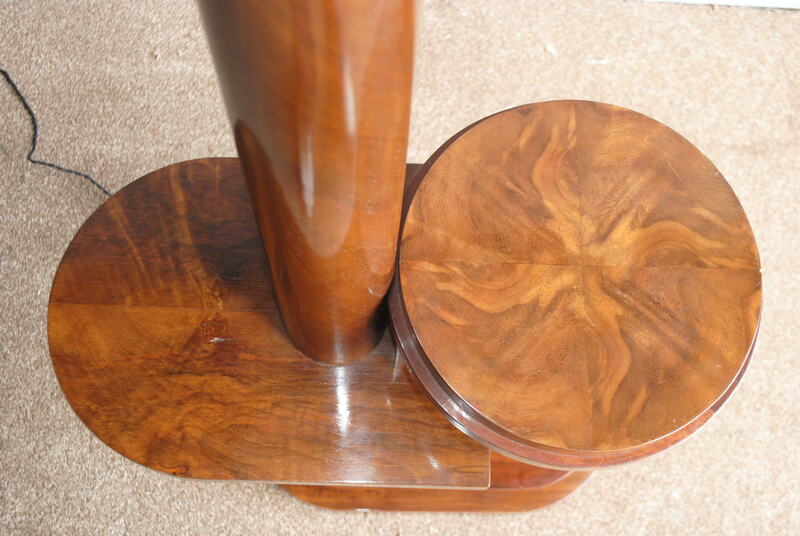 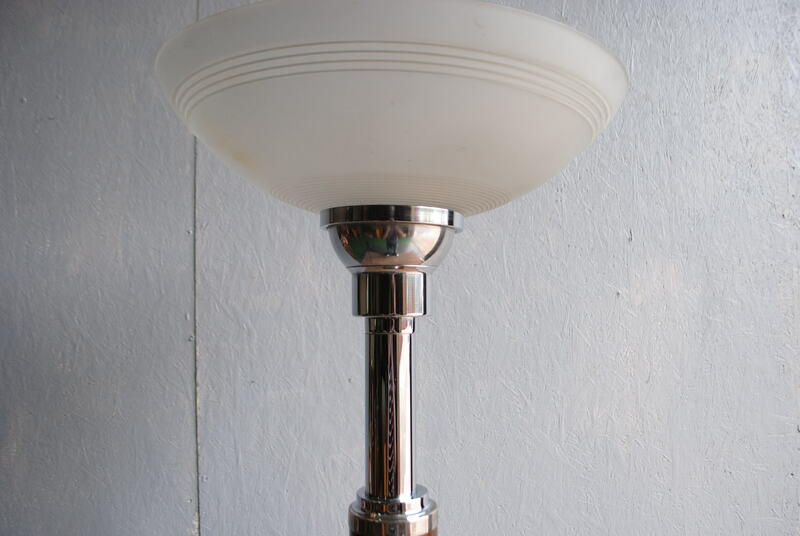 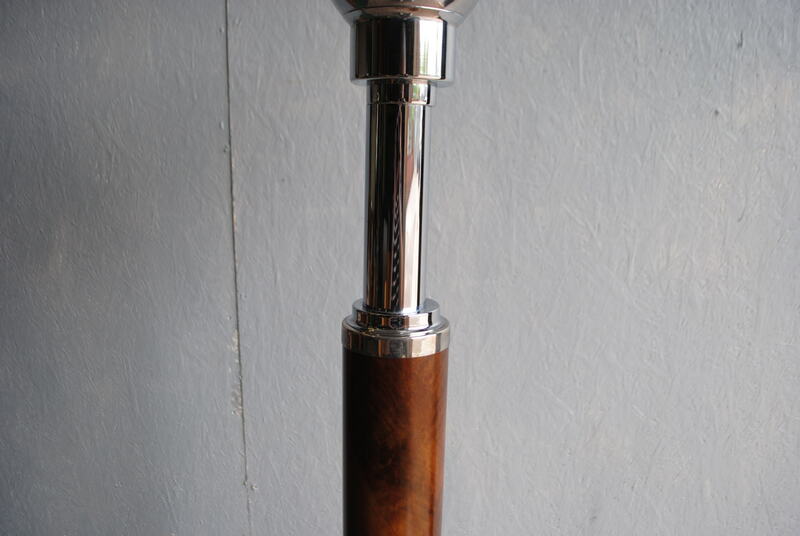 A fabulous original Belgian art deco walnut Torchiere/Uplighter. 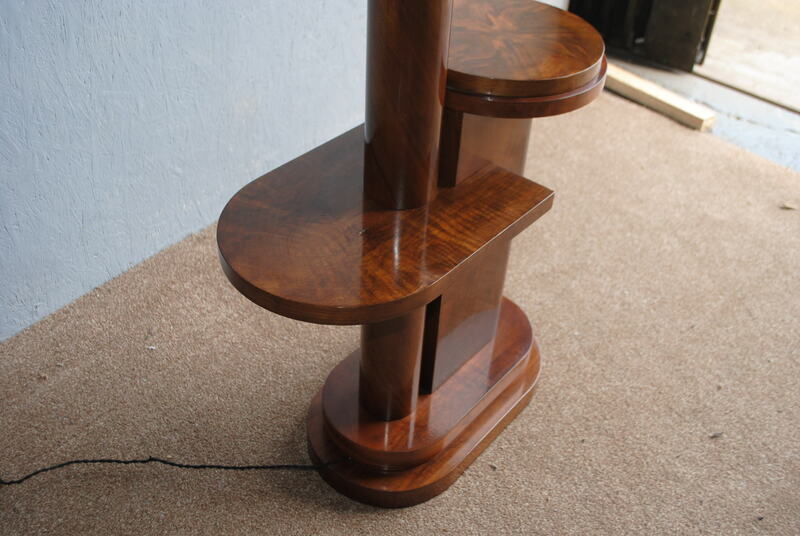 A very rare and unusual piece that has been beautifully hand crafted from hard wood and very nicely finished in walnut veneers. 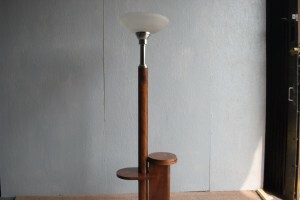 The lamp is pure quality,very well made and simply stunning. 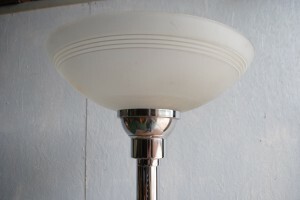 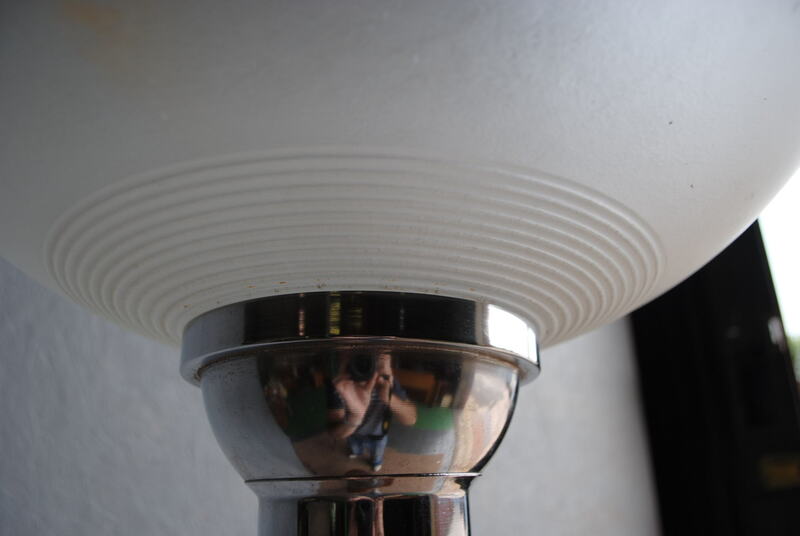 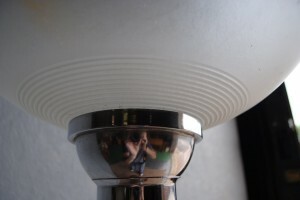 The centre column is around 5″ in diameter and the glass shade is original. 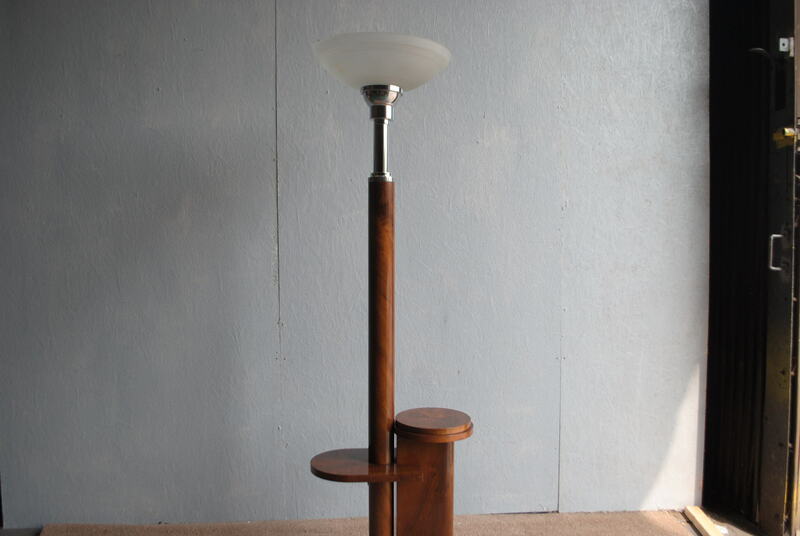 This piece makes a real statement when on or off.